Ohbot version 1.0.0.47 and earlier installs using a Click Once install which means that it’s installed on a per user basis and needs admin rights during installation. If you need to install it across a set of computers, please do the following. Turn on display file extensions in Windows Explorer (this isn’t essential but it makes it easier to identify the correct folder). Install Ohbot software once using an admin account. 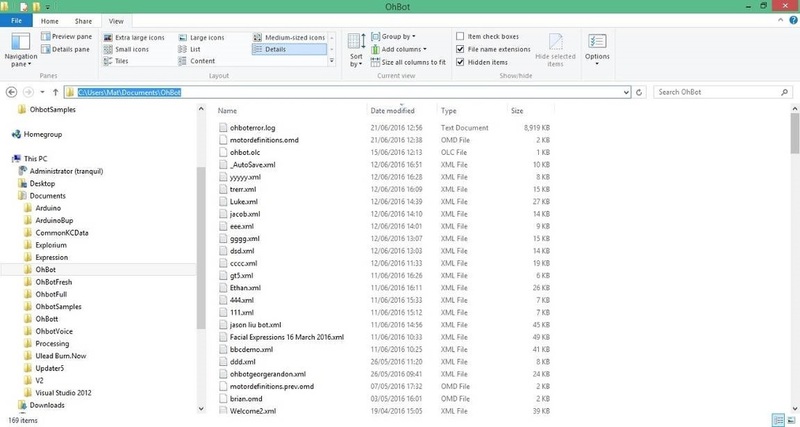 Note that there will be another folder with a similar name that just has a few files in including OhBot.exe.config. Don’t copy this one. 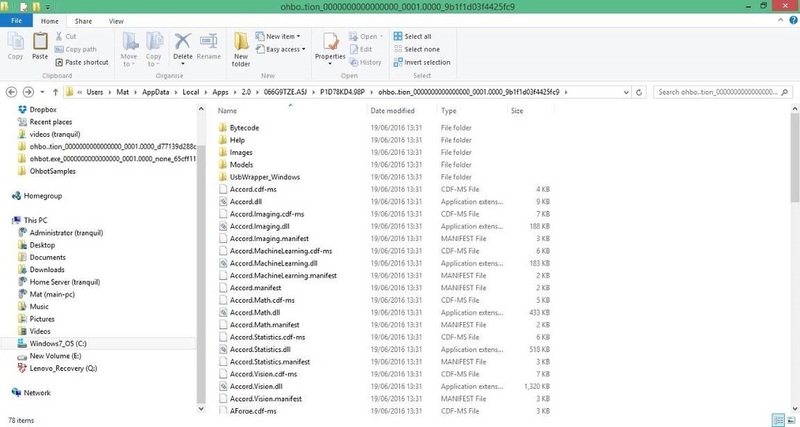 Once this is copied create a shortcut to Ohbot.exe in that folder and put the shortcut on the desktop or toolbar. You also need to copy Libraries\Documents\Ohbot folder to the Documents area for each user. 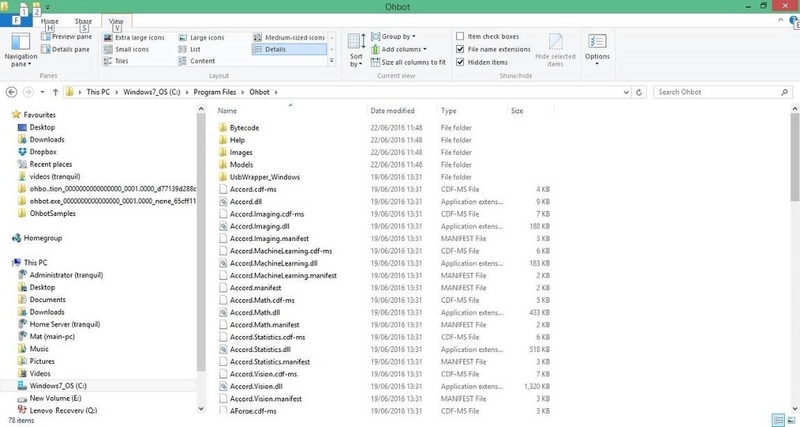 For example, for a user called Mat copy all the files from c:\users\admin\Documents\Ohbot to a new folder called c:\users\Mat\Documents\Ohbot. We are developing a version of Ohbot software that uses MSI installation and this is available for Beta test (currently version 1.0.0.62). Please contact us if you would like to join the beta program. Once this flag is written it prevents registration from being asked for again. User settings such as the name of the last file that was saved are also saved to this area of the registry. So each person that runs the software needs access to their HKEY_CURRENT_USER area of the registry else they will have to register each time they run the software and will not be able to save any user settings.